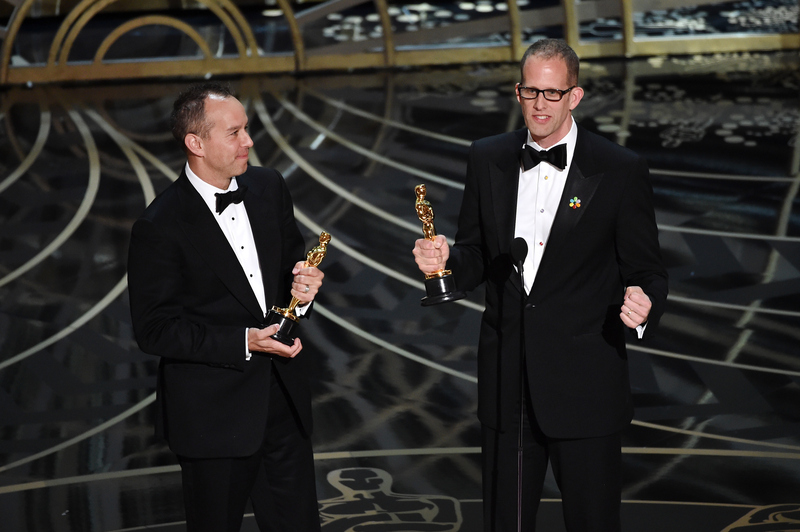 Oscars 2016: "Inside Out" creator tells kids to "make things"
"Inside Out" co-creator Pete Docter had some advice for kids watching the Oscars. When the Pixar movie won Best Animated Feature, Docter focused on his target audience during his acceptance speech. "Anyone out there who's in junior high, high school, suffering, there are days you're going to feel sad, you're going to feel angry, you're going to feel scared -- that's nothing you can choose," he said. "But you can make stuff. Make film, draw, write. It'll make a world of difference." The speech's sentiment was in line with the hit movie, which follows a young girl as she experiences different emotions -- Anger, Fear and Disgust -- when she moves to a new town. Mindy Kaling, who voiced the character Disgust in the movie, lauded Docter and said, "Pete Docter you deserve an Oscar for that speech #makethings @PixarInsideOut" on Twitter.